Getting overwhelmed with conflicting advice, too much heavy cream and too many fat bombs. JT and Carol chat about how we plan to make some changes to get back on track and what might help us stay that way. For us, we think it is getting back to basics. Welcome to the Fat2Fit HQ podcast. We are your hosts, Carol Salva and JT of the Firearms Radio Network. In this podcast we are chronicling our journeys from Fat to Fit. We talk about pursuing a healthier lifestyle, not only in diet but in all areas of life. Do you find it a bit difficult to stay motivated with all those sugar plum fairies dancing around?? Well, just come on over to our chat board and make yourself check in every day. You’ll find inspiration there and just checking in might give you that little bit of accountability that will make a difference. No eating or exercising rules, we just want to tell folks what we are doing or just say hi and maybe read about how others are doing it. Being around like-minded folks DOES make a difference. Let’s do it! This works best from your browser. Go to the group page and look around. More rules and info will be posted there. Anyone out there? I know that JT and I have been MIA for a while but we are still around. Here is an update podcast. You might not find lots of helpful tips on how to stay motivated but you will at least know that you’re not alone when you aren’t “feeling it.” Welcome to the Fat2Fit HQ podcast. I’m your host, Carol Salva of the Firearms Radio Network. In this podcast we are chronicling our journeys from Fat to Fit. We talk about pursuing a healthier lifestyle, not only in diet but in all areas of life. Congratulations Lisa Jarmon and her team in Florida! They ran a great Tough Mudder this month. You guys ROCK! Keep spreading the love, Lisa. You are inspiring others! Do you find it a bit difficult to stay motivated with all those sugar plum fairies dancing around?? Well, just come on over to our chat board and make yourself check in every day. You’ll find inspiration there and just checking in might give you that little bit of accountability that will make a difference. No eating or exercising rules, we just want to tell folks what we are doing or just say hi and maybe read about how others are doing it. Being around like-minded folks DOES make a difference. Let’s do it! F2FHQ 106 - Blood, Bruises and Broken Ribs but Dallas was Awesome! Gun Runners came from Houston, College Station and New Mexico to unite, to bond and to tackle the toughest event on the planet in Dallas, Texas. AND WE DID IT!!! Welcome to the Fat2Fit HQ podcast. I’m your host, Carol Salva of the Firearms Radio Network. 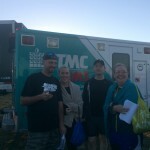 Along with me is my Co-Host JT, Chris Tinder and Shelley Templin. In this podcast we are chronicling our journeys from Fat to Fit. We talk about pursuing a healthier lifestyle, not only in diet but in all areas of life. And everyone who sent along support! Welcome to the Fat2Fit HQ podcast. I’m your guest host, David Whitlock of www.whitlockfitness.co.uk. Along with me is Carol Salva of the Firearms Radio Network. In this podcast we are chronicling our journeys from Fat to Fit. We talk about pursuing a healthier lifestyle, not only in diet but in all areas of life. We are thrilled to finally have David Whitlock join us for some motivation and sound advice this week. David has brought so many people into better health and now we get to hear a bit about how he does it. 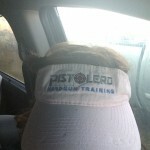 Bonus: David is a firearms instructor! Listen in for our chat about our diets and our lifestyles. We are many time zones away from each other, and we have very different cultures in some ways (the don’t know Cheese Whiz??) but it’s fun to find the common interests that bring some of us together virtually. Email Carol@fat2fithq.com for more information or check out our Mud Run page. Are you getting the most out of the internet?? We are! Just ask the August Check-In Challenge winners. They connected in our MyFitnessPal Fat2FitHQ community every single day and they are here to tell us about the experience. You too can become part of our active, global community! Welcome to the Fat2Fit HQ podcast. I’m your guest host, Howie Broyles and along with me are all the winners of the August Myfitnesspal Check in Challenge! In this podcast we are chronicling our journey from Fat to Fit. We talk about pursuing a healthier lifestyle, not only in diet but in all areas of life. Winner’s Circle! BIG Congratulations to these rock stars! Heron and her boyfriend Arturo are also working with www.jeffrynutrition.com. 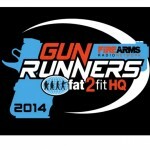 Contact carol@fat2fithq.com for more info on how you can join us on one of these runs! Up for a Challenge? We have Tough Mudders, a Gritty Goddess (aka PUFF Mudder) and Check-in Challenges on our chat boards. This week Jack and Carol get caught up on what we are up to and all the fun stuff you can do with us over the next few months. So what are you waiting for? Welcome to the Fat2Fit HQ podcast. I’m your host, Carol Salva of the Firearms Radio Network. Along with me this week is JT. In this podcast, we are chronicling our journeys from Fat to Fit. We talk about pursuing a healthier lifestyle, not only in diet but in all areas of life. email carol@fat2fithq.com for detail on how to join these teams. Want to look your best? It is NOT about weight! Rachel Guy joins us this week to talk about why we can have carbs! Also, why we need to be lifting, how to get yourself motivated and why we don't need to always kill it in the gym. From Rugby and MMA fighter, to physical therapist and now one of Australia's top female trainers! Listen in for some motivation and some great tips from Rachel. I’m your host, Carol Salva of the Firearms Radio Network. In this podcast, we are chronicling our journeys from Fat to Fit. We talk about pursuing a healthier lifestyle, not only in diet but in all areas of life. Rachel Guy: Physiotherapist, Fitness Presenter and Health Consultant, Rachel Guy has worked in the fitness industry for the past 13 years. Based in Sydney, she is now regarded as one of Australia’s top female trainers with an international following. Athletic Fox has an Online Training Membership Program “The Athletic Fox Blueprint” and many personal training services and eBooks, the courses and programs are designed to suit all women from all walks of life and many levels of training. In the media, Rachel contributes to Mens Fitness, Cosmopolitan, On Duty and Shape magazines and been featured as a fitness model in several T.V. commercials and magazines including Ironman, MuscleMag, The Sydney Morning Herald and Oxygen. Rachel is Head of Strength & Conditioning for the TV show Wimp2Warrior, a six-month training camp to take the average Joe to MMA fighter. Rachel addresses a question from Angela Neale: What does she recommend to clients when coming back from an injury? How soon should they start training again? Should they do any training while they still have pain? Specifically, I hurt my lower back 3 weeks ago doing deadlifts. Did two other workouts later that week. They were body weight and light kettle bells and both HIIT. Couldn't bend over at all for over a week (or even put socks on or tie my own shoes). Now I'm nervous to lift or even do body weight training. Wondering where to start? The only time I feel any pain now is when I sneeze. ITUNES Diver 1962: Wants shows for older guys, older shooters, fitness outside of tough mudder! Mark Rogers of Normal Fitness: http://www.fat2fithq.com/055 http://normalfitness.net (look at the bottom of the page on this site for specific information on things like “Restoring strength in your shoulder for handgun shooting” etc. MUD RUNS! Tough Mudder on October 4th. Run with JT! Join team "GunRunners" Gritty Goddess on October 11th. Bring your children. Run with Carol! Join team “Las Chicas” Your kiddos can join team "Los Chicos and Las Chicklets" More information at www.fat2fithq.com/mudrun or email carol@fat2fithq.com for info. 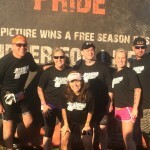 Please email Steve Remy and ask him to do Tough Mudder in Dallas with us: steve@firearmsradio.tv. iTUNES! ALL Itunes listeners: Thank you for the iTunes reviews! Please leave us a review in iTunes to really help out the show. Fat2FitHQ Itunes Link We depend on your valuable iTunes reviews. It helps the show become more visible in iTunes and helps guide our content. Welcome to the Fat2Fit HQ podcast. I’m your host, Carol Salva of the Firearms Radio Network. In this podcast, we are chronicling our journeys from Fat to Fit. We talk about pursuing a healthier lifestyle, not only in diet but in all areas of life. JT is our special guest this week! He is gearing up for his next Tough Mudder on October 4th and wants you to join him. Carol is also doing a run on October 11th. wwww.grittygoddess.com is a 5K for women. Join us and/or have your kiddos join the kids team. We also talk about being a "freak" in our real worlds. Listen in as we recap what is working for us at the moment. Should we be trying to be so low carb? I guess not. Let's hear what Ben Coomber, a #1 rated health podcaster, has to say about the matter. We talk about our accents but also more serious things like what you can do to fix your intake for optimal fat loss and health. Welcome to the Fat2Fit HQ podcast. I’m your host, Carol Salva of the Firearms Radio Network. In this podcast, we are chronicling our journeys from Fat to Fit. We talk about pursuing a healthier lifestyle, not only in diet but in all areas of life. Ben Coomber: http://bencoomber.com Ben has an amazing podcast. This is how he describes it: A full fat show on everything nutrition, food, human performance and being f**ing awesome, hopefully with a touch of humour. Ben Coomber is a performance nutritionist, coach, presenter and owner of Body Type Nutrition. Loves coffee, rugby, lifting heavy stuff and eating insane food. Past obesity statistic. Lives to find the extra 1%'s that make us better performing individuals, his co-host is the amazing Rachel Guy, the Athletic Fox.. . . . . . BOOM! Carol News: Crazy happy about my progress with www.jeffrynutrition.com. ** I said "nutritionist" on the show and I think Jef is more of a "nutrition coach." Sorry! I'm doing some Ultra Low Carb but not completely. We are working to find my upper limits and I CAN have a cheeseburger!! YAY! Jef coaching me through al of it. I'm off sweeteners of any kind and dropping weight! Seemed to be water weight initially but still losing. Nice progress so far. I highly recommend you find a coach!! Sandy Dumond (of the question above) is the winner of a PRICELESS, EXTREMELY valuable Fat2Fit HQ T-shirt! Thanks for sharing our posts on Facebook Sandy!! iTUNES!ALL Itunes listeners: Thank you for the iTunes reviews! Please leave us a review in iTunes to really help out the show. Fat2FitHQ Itunes Link We depend on your valuable iTunes reviews. It helps the show become more visible in iTunes and helps guide our content. Are you a health nut? Taken it a bit too far before? You're among friends! Jay Charvoz and Jef Fry of Health Nuts Anonymous guest host this week to give us a peek into their lives. They share the good, the bad and the ugly. But mostly good! They also give us great tips based on all they've learned. Welcome to the Fat2Fit HQ podcast. We are your guest hosts this week! I’m Jay Charvoz and along with me is Jef Fry and we are filling in for Carol Salva this week (she asked us to guest-host). In this podcast, we are chronicling our journeys from Fat to Fit. We talk about pursuing a healthier lifestyle, not only in diet but in all areas of life. Community News: Stacy Knickerbocker will be joining Carol in Denver for Paleo Fx this October. Jason Moore, last week’s guest of the Dominate Stress podcast told us that he is going. Who else is going?? ********* Thank you to all listeners that are sharing the show on Facebook, twitter, Google+ and other social media outlets! They are making a difference! Use stress to our advantage? Jason Moore of the Dominate Stress podcast is here this week to show us how. Super important show when you consider that stress affects how successful we will be, not only in weight loss, but all areas of life! Welcome to the Fat2Fit HQ podcast. I’m your guest host Jason Moore of the Dominate Stress Podcast and along with me is Carol Salva of the Firearms Radio Network. In this podcast we are chronicling our journeys from Fat to Fit. We talk about pursuing a healthier lifestyle, not only in diet but in all areas of life. Visit Jason Moore’s blog and podcast website, and you’ll read about how he doesn’t consider himself a guru. Well, if he isn’t a guru on stress hacking, we aren’t sure who is. Jason’s Dominate Stress podcast has experienced rapid growth in popularity recently. He speaks nationally on the subject of understanding stress, using it as a tool and managing it to live a more enjoyable, healthy life. I'm eternally grateful to these AWESOME listeners for leaving iTunes reviews! ALL Itunes listeners: Thank you for the iTunes reviews! Please leave us a review in iTunes to really help out the show. Fat2FitHQ Itunes Link We depend on your valuable iTunes reviews. It helps the show become more visible in iTunes and helps guide our content. Are you getting a team together to do something fun? Shout out to some folks who will be leading Tough Mudder teams in the next 12 months or so: Jack Templin, Lisa Jarmon, Aaron Krieger, Alana DeRousselle. Way to spread the love guys!! LIKE US ON FACEBOOK. Drawing on July 4th from all the shares of our Facebook page. If you share it on your personal page and invite others to like the page, I’ll be putting your name in a drawing for a Limited Edition F2FHQ T-Shirt. Stephen Woody is a 5th Degree Black Belt, Xtreme Weapons champion, and now he can add Fat2Fit-bitter champ to his list of accolades. Listen to see how Stephen blew past everyone in our April challenge averaging around 28,000 steps per day. His philosophies on health, fitness and life in general are worth hearing! Welcome to the Fat2Fit HQ podcast. I’m your guest host Stephen Woody of Rock Solid ATA Martial Arts and along with me is Carol Salva of the Firearms Radio Network. In this podcast we are chronicling our journeys from Fat to Fit. We talk about pursuing a healthier lifestyle, not only in diet but in all areas of life. Mr. Stephen Woody Stephen is not only our April Fitbit champ, he is also a 5th Degree Black Belt in the American Taekwondo Association. He owns and operates his own studio in Southern California, near Disneyland. Stephen started Taekwondo in 1993 thanks in part to the Teenage Mutant Ninja Turtles, and his mom finally giving in. Since then he has gone on to win multiple state and district titles. Most recently he earned first place in Xtreme and Creative Weapons at the Southwest District Championships. Stephen tells us that outside of Martial Arts he is a husband and father of an 18 month old who loves to spend time with his son. Share the love! Please invite your friends to like our Facebook page and share our posts. Win a Fat2Fit HQ T-shirt! We will have a drawing on July 4, 2014 from the folks that have been sharing the page. 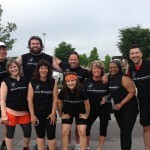 Tough Mudder Tennessee this weekend, CarbNite updates, Diet Lessons and a special guest appearance! Welcome to the Fat2Fit HQ podcast. I’m your host, Carol Salva of the Firearms Radio Network. In this podcast we are chronicling our journeys from Fat to Fit. We talk about pursuing a healthier lifestyle, not only in diet but in all areas of life. No guest this week. Just updates and things to think about for your own journey. There is one special guest who joins us for a few minutes at the end of the show! Itunes listeners: Thank you for the iTunes reviews! Please leave us a review in iTunes to really help out the show. Fat2FitHQ Itunes Link We depend on your valuable iTunes reviews. It helps the show become more visible in iTunes and helps guide our content. TOUGH MUDDER IS THIS WEEKEND!!! Do you want long term results? Just breathe. We can tinker and tweak and overwhelm ourselves to the point of total confusion. Roger Dickerman chats with Carol about CarbNite, recovery and “gamefying” your fitness. But best of all, Roger brings us back to basics. Personal trainer and Transformation coach. Co-owner of Relentless Fitness studio in Philadelphia, PA. Author, podcaster, speaker. His work in six words: Real people, real results, real world. Thank you Carol for this funny and informative podcast. Your journey is similar to mine and it is good to know that I’m not alone. You’re an inspiration. The Tough Mudder organization joins the Fat2Fit HQ podcast this week to answer questions about our impending doom. The GUN RUNNERS are about to embark on what might be THE TOUGHEST EVENT ON THE PLANET. We have questions! Alex Patterson of Tough Mudder answers them all and does a great job of freaking us out just a bit more. Complete show notes at www.fat2fithq.com/092 Welcome to the Fat2Fit HQ podcast. I’m your host, Carol Salva of the Firearms Radio Network. In this podcast we are chronicling our journeys from Fat to Fit. We talk about pursuing a healthier lifestyle not only in diet, but in all areas of life. Alex Patterson: Tough Mudder organization representative. 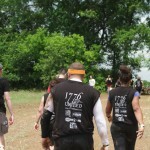 VP Brand at Tough MudderLLC; Chief Culture Officer at Tough Mudder LLC. Alex’s role is to “make sure Tough Mudder stays Tough Mudder.”Jack Templin: Down about 75 lbs, long time listener Married, 3 Daughters Stacy Knickerbocker: 100lbs down. kept it off over 3 years. 43 years young, super active, wife & long time listener. Cynthia Krom: Super cool professor. Long time listener. Assistant Professor of Accounting and Organizations at Franklin & Marshall College, with a 25 year old daughter. 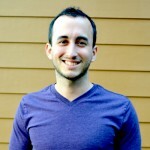 Aaron Krieger: Aaron is a host of the popular FRN podcast, We Like Shooting. Aaron has been in advertising and marketing for more than 13 years with such companies as Ford, The Sports Authority, the NHL and many others. He has also worked as a security consultant for national security firms and General Motors Police Vehicle Division and has written several books.Carol Salva: Wife, mom, educator and now, Tough Mudder Legionnaire! Host of Fat2Fit HQ podcast and health nut wannabe. Micky Francis joins us today to chat with me about what it is like for the average person to navigate all the new science coming out in health and wellness. 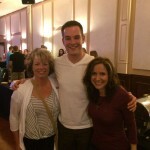 Micky is a new listener to F2FHQ and found us through our show with John Kiefer. We are going to recap some of our journey in this show but also hit on some key elements for us in staying informed and motivated when there is a monsoon of information swirling around us! Welcome to the Fat2FitHQ podcast. I’m your host, Carol Salva of the Firearms Radio Network. In this podcast we are chronicling our journeys from Fat to Fit. We talk about pursuing a healthier lifestyle not only in diet, but in all areas of life. Micky Francis is an Athens resident who has been serving the Athens/Watkinsville and Madison areas as a Fitness Professional for almost 7 years. He has worked with everyone from local celebrities to busy moms, writers, teachers, young athletes, accountants and lawyers. He is well known for helping people drop inches and lose body fat. He uses a variety of training methods and keeps the workouts ever changing and interesting, unless the client is training for a show, or sport which requires a specific approach. He can be reached at 706-424-6591 and his e-mail is alpha7trainer@gmail.com. Angela Neale and her CarbNite journey! This week you have a chance to add your name to the long list of people who are being inspired by Maureen Ucles. Maureen has had so much success lately that she has brought a ton of people along with her in her healthy journey. Listen to our chat about a weight loss challenge we are doing her favorite diet for weight loss and her new lifestyle. You're sure to get a shot of motivation and some tips for finding your own success! Welcome to the Fat2FitHQ podcast. I’m your host, Carol Salva of the Firearms Radio Network. In this podcast we are chronicling our journeys from Fat to Fit. We talk about pursuing a healthier lifestyle not only in diet, but in all areas of life. Maureen Ucles: Mom, educator, Born-again Fitness and Health enthusiast! Everyone should have a Maureen in their lives. Thank you for the iTunes reviews! Please leave us a review in iTunes to really help out the show. Fat2FitHQ Itunes Link We depend on your valuable iTunes reviews. It helps the show become more visible in iTunes and helps guide our content. 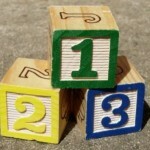 Many of us could use help applying cutting edge science to our everyday lives to meet our goals. Well, we are in luck! Stress hacker and online personal trainer, Andrea "AJ" Jengle, is here with a female lens on Carb Nite and Carb Backloading. But her advice applies to men as well. She can speak from her own experience and as a trainer of women where she is having a lot of success with both protocols. Listen in to hear how we can focus on our health so that things can really start to fall into place. Welcome to the Fat2Fit HQ podcast. I’m your host, Carol Salva of the Firearms Radio Network. In this podcast we are chronicling our journeys from Fat to Fit. We talk about pursuing a healthier lifestyle not only in diet, but in all areas of life. Andrea Jengle (AJ) is a personal trainer and owner of HER Fitness Solutions. HER Fitness Solutions offers personal, specialized online training for women. AJ created Her Fitness Solutions to guide women to a goal of looking and feeling great and being able to achieve that in the healthiest way possible. AJ has successfully incorporated John Kiefer's protocols, Carb Back-loading and The Carb Nite Solution, into her clients programs. She has also utilized CBL and CNS to achieve her own fitness goals and get the physique she's always wanted. For regular folks wanting to shed fat, (not performance athletes) do you think it’s insulin levels or ketosis that makes the difference? How you work with women now? What about people who think you’re genetically gifted? Angela Neale: So far this year I've been working to be fat adapted. I don't pee on pieces of paper (keto sticks) or check my blood ketone levels or anything like that, I've just been concerned with eating nutritious foods and eating pretty low carb/high fat. I've been doing well with that as far as my energy levels are and my performance while working out, and genereal well being throughout the day go. My issue is that I'm maintaining my weight/body fat and I would like to be losing inches and body fat. Not excited about using low-nutrient/processed foods: Would starchy carbs (real foods that only need to be cooked to processed) work? AJ had already addressed Angela’s questions in earlier conversation. She can’t give specific advice without knowing more about Angela but she always suggests that folks do Carb Nite properly before moving on to Carb Backloading or giving up on Carb Nite. From Tindercd, 5 stars, Keep it Up! Carol is so real. She makes you feel like you are not alone.